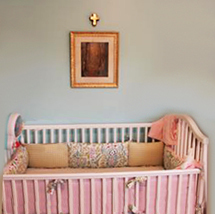 Our gallery is filled with pictures of pink baby nursery ideas in every shade of pink, color combination and theme imaginable . 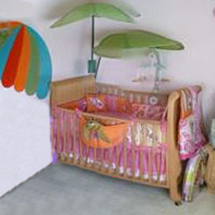 There are many unique pink color schemes that will add a whole new dimension to the classic pink and white or pink and cream rooms that have been used for such a very long time. 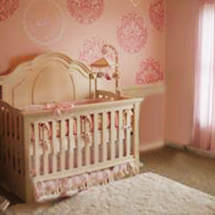 Our goal is to assist parents in designing a pink room that is cute and feminine while avoiding a Pepto Bismol look. The photos that we have for you are beautiful examples of how others have managed to decorate while keeping the colors in the space balanced and under control. 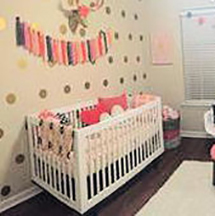 These parents have shared their experiences with you via their photographs often accompanied by written step-by-step instructions, shopping resources and crafts tutorials. Creating their own artwork and decorations enabled them to give the project a stylized look and to stay within their budget. 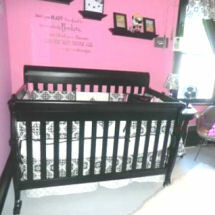 The key is to avoid the overuse of pink baby nursery bedding and accessories to keep your baby girl's room from being "too pink". 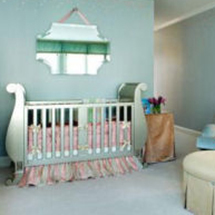 Maintain a balance with contrasting colors that will anchor the space and prevent "pink" from taking over! 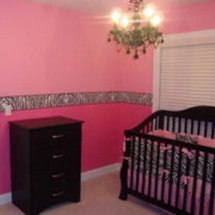 There are actually too many girls' pink nursery color combinations to list here but at the time of this article one of the the most popular is the modern pink and brown nursery room design with pink and black baby crib bedding sets coming in at a very close second. 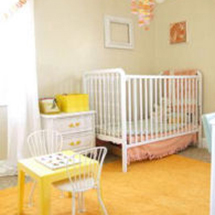 color combination possibilities for your baby girl's room. 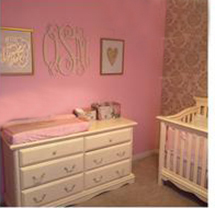 Did you know that pink has not always been the go-to color for girls? Go HERE to get answers to these questions. 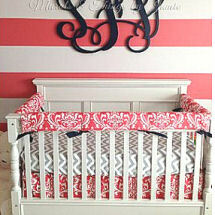 Do you have a great set of baby bedding or a picture of a nursery that you decorated in a pink color scheme? Share it! 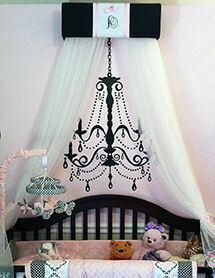 Visit Unique Baby Gear Ideas often to see the latest pictures of pink nurseries for girls that have been added to our photo gallery.